Large Acrobird playtower bird stand provides your pet with an area to exercise & play safely, outside of the cage. The durable plastic construction makes clean up a breeze and has wheels for easy mobility. It has a raised base that is safe, sturdy & aids in reducing scattered debris. 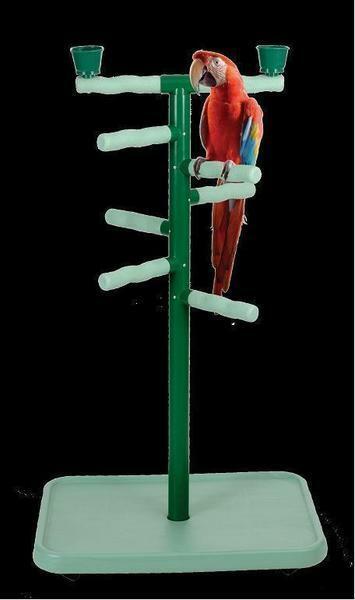 The perches are textured & irregularly shaped like those in a natural environment to make your bird as comfortable as possible and promote healthy movement and exercise. Two surelock cups included. Notify me when Large BirdTower - AcroBird is in stock.